The occasion of the celebration of Black Philanthropy Month made me think about traditions of collective economics and giving in Caribbean communities. I spent much of my twenties working in development and philanthropy in New York City, an experience that might make one think that philanthropy is just about wealthy white people giving money to low-income communities or color, or worse, using their wealth to reinforce existing networks of social, political and economic capital. Writing this blog was a welcome opportunity to reflect on how Afro-Caribbean women tap our own networks to support each other and ourselves. When I was growing up as a child in Flatbush, which I affectionately refer to as the West Indian section of Brooklyn, “susu” was a term I heard thrown around a lot. My mom, Sadie Jackson, is from Jamaica, and she has participated in susus with people from work and with female relatives from her substantial clan. Recently, I sat down with her as she was taking a break from her work as a nurse and her activism to keep Long Island College Hospital open in the face of closing by its new owners, SUNY Downstate. She answered my questions about the ins and outs of susu, and made sense for me of a cultural tradition that I’d been curious about for years. Susu is a system of banking that originated in West Africa and is still practiced both in Ghana and throughout the Caribbean. In the most basic terms, susu is an informal savings club. Susu members save a fixed amount of money daily, weekly, bi-weekly or monthly; each member receives a substantial amount at a regular interval, which is the accumulated savings of themselves and the other members. For example, you might put $250 from each paycheck into the susu, and collect $5,000 in the month when it’s your turn. Women often use susu to save for big-ticket items, such as a down payment for a house, tuition, or furniture, and for some women this is their primary form of saving. An alternative to traditional banking, I’d argue that susu is a precursor to micro-finance and a model of collective economic empowerment that allows women of similar means and goals to support each other. I asked my mom why people choose to join the susu when they have so many other forms of banking available to them, from Christmas clubs to credit unions to mainstream banks’ saving accounts. She explained that for people for whom saving is difficult, the susu provides accountability because 1) there is a stern banker who collects the monies; 2) the design of the susu means that you can’t take out money you’ve saved until it’s your turn; and 3) late fees and a healthy serving of West Indian style shame make it really uncomfortable to back out. Because I’m a fiction writer, and therefore always hungry from intrigue, I had to ask if there were any cases of bankers who’d run off with all the money never to be heard from again. The checks and balances I’ve described above generally ward against that kind of thing, but she did tell me a few anecdotes about a banker who was always suspiciously pick pocketed or robbed just before it was time to pay out the money she had collected. This is a system that requires a considerable amount of trust in not only the banker but also in the other people who are involved, and is an invaluable form of both financial empowerment and community building. One of the questions that I had after our conversation was how Afro-Caribbean people and people in other communities can use susu as a model for giving circles that collect monies and give all or a percentage of the take to support local issues that matter to them. Are there ways we could expand susu from supporting individual women and their families to supporting our communities as a whole? I’d love to hear your comments about susu and giving in black communities. In particular, I’d be curious about any definitions of the word “susu.” If you’d like to learn more about susu, check out this interview by Public Radio International’s Jason Margolis. 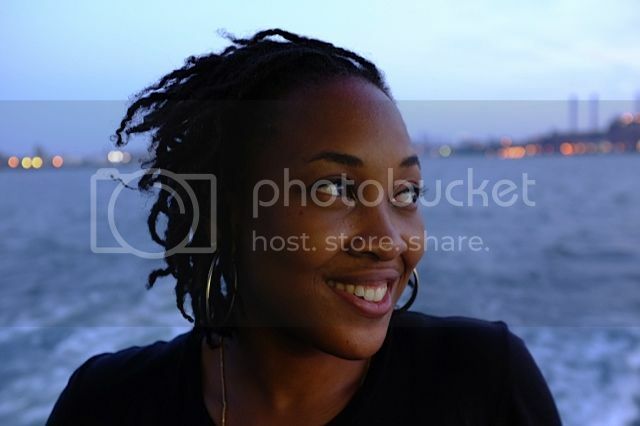 A. Naomi Jackson is a writer working on her first novel in Brooklyn.